The full name of this pregnant goddess sculpture is “A Quiet Moment in the Garden of Hope” and she will be on exhibit (and for sale) from April 2-30, 2013, in the Shenkman Arts Centre display case in Orleans, along with works from other artists in the National Capital Network of Sculptors. Do stop by and take a gander! This piece is 9.5″ square and the goddess alone is about 3″ long – the largest pregnant version i’ve ever made – the picture below gives some perspective. I made the goddess, all the glass components, created the textured background then customized an existing frame to match. She has a sparkling faux diamond in her belly button and the butterflies were purchased from murrini artist Greg Chase. I had created this piece based on the joy, optimism and hope that women trying to conceive experience, however, i don’t think that theme went over well in this particular context. Having never been infertile, I realize now that i didn’t really understand the depth of turmoil this brings to families and especially to the infertile couples themselves. Many of the other pieces submitted were very dark and spoke to feelings of blame, depression, worthlessness and desperation. As well, the energy at the vernissage was quite tense – especially around the two women there actually with babies (which i assumed were conceived with the assistance of the clinic). That evening I finally realized that despite the original intentions of the clinic, while it was advertised as an art competition, in actuality, it was (or became) more about the clients of the clinic using art as a therapeutic medium to express the devastation they were experiencing or had experienced. Slowly getting this pile of beads from the last few months photographed… Next will be to edit and size them all before actually creating listings in my Etsy store. Siiiggghh… This the super boring part of beadmaking (hence why my store is usually empty) – second only to cleaning beads. 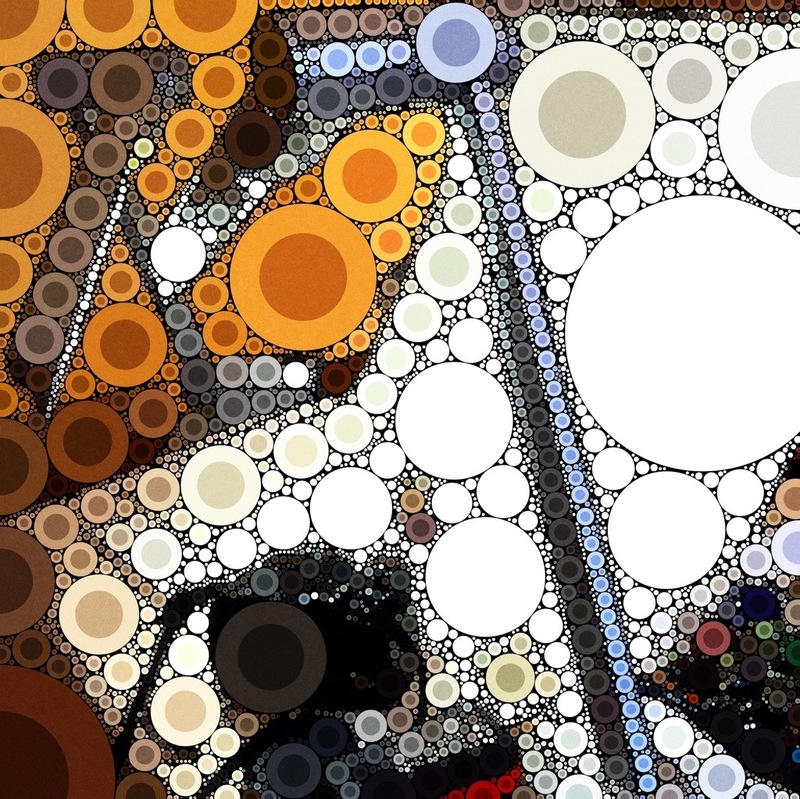 And because I am a total procrastinator when faced with unpleasant chores, here’s the same pic as above run through the Percolator app on my phone. Cool, huh? Working on designing another (4th) goddess sculpture… I drew this on my new Wacom Bamboo drawing tablet which is SO MUCH FUN!! Not sure that I’m in love with this colour combo but it’s a happy start. I still need to design the base and a topper but so far, so good. I think by the time it’s done it should be around 8-10″ high. I was only sketching on paper before which was a pain since i kept changing my mind and then had to start all over again from scratch each time the idea changed… not to mention the random bits of drawn on paper trailing around the house. Digital design is definitely the way to go! 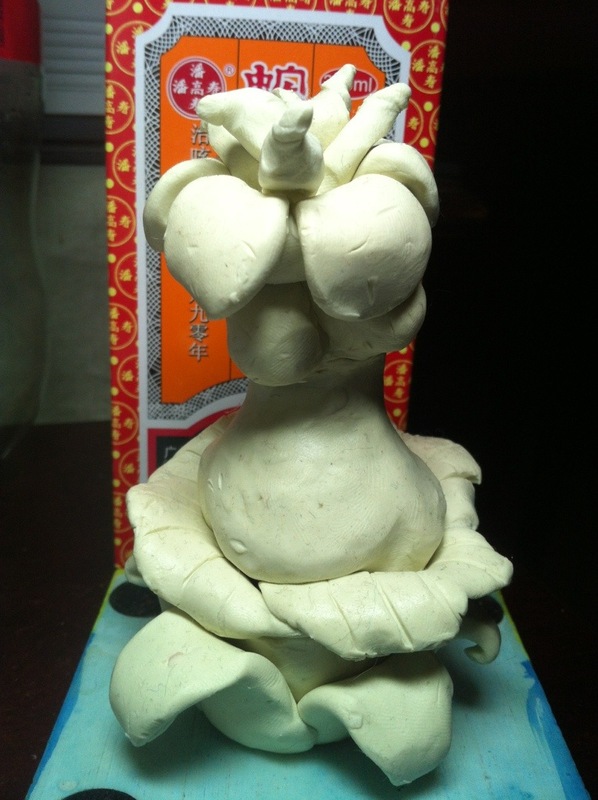 I made this clay prototype first to work out the basic size and shapes. It’s been travelling around the house with me and has been reworked about four or five times. Now to work on refining the colour scheme. Next will be picking out the glass colours, checking for compatibility and then making some actual test pieces in glass – that’s the fun part! I’ve also updated this blog’s template… what do you think? There’s a story that goes with each of them – ask me about it… Looking forward to seeing you there! 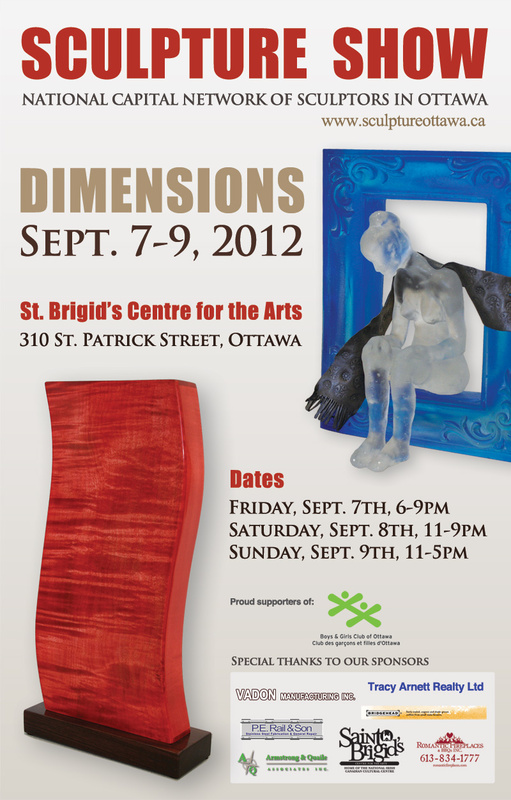 DIMENSIONS – A PREMIER SCULPTURE SHOW IN OTTAWA“DIMENSIONS” is presented by the National Capital Network of Sculptors. The show displays a remarkable cross section of sculptures in a multitude of media, styles and working methods from 33 Ottawa area artists. There are bronze, stone sculptures, wood carving and assemblages, clay and glass sculptures, as well as multimedia pieces and other forms of three dimensional art. 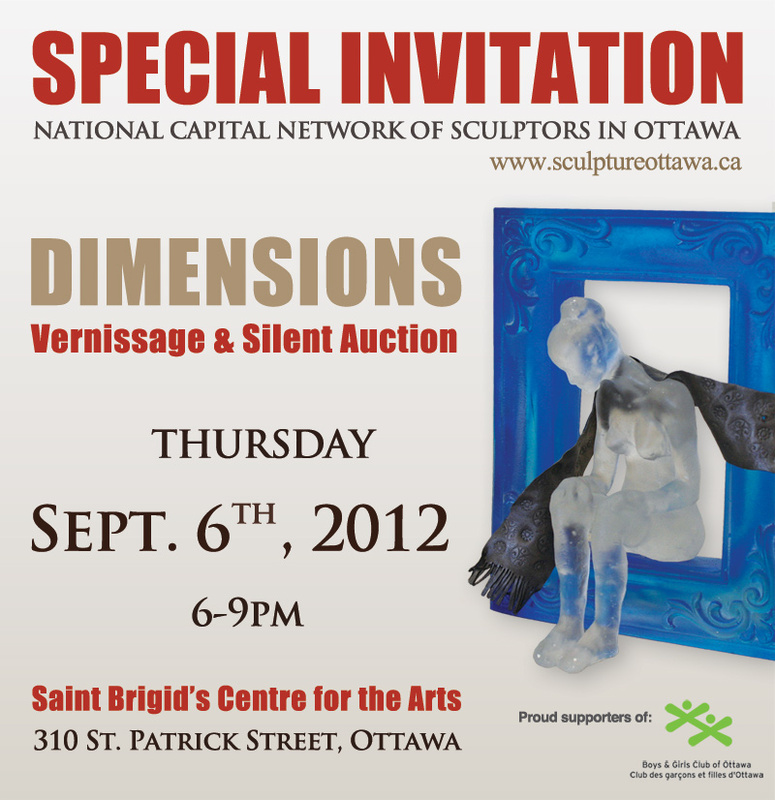 The show runs from September 7-9th, 2012 – with a special invitation only opening night, silent auction and meet the artists event on September 6th, 2012.Some of the artists will be demonstrating sculpture techniques on Saturday and Sunday. Come and meet the artists – there will be a silent auction to benefit the Ottawa Boys & Girls club as refreshments served – I’ll have two beads up auction. Licensed event and refreshments will be served. NOTE: as this will be a licensed event, attendance is by invitation only – please ensure you have this invitation below available either in print or on your smartphone when you arrive. My first tutorial published in Soda Lime Times! i made a pile of these (and other glass truffles) as favours for a wedding last spring and demoed this bead at the Glass Shoppe Studio last September. It received very positive feedback both times so i thought it might make a fun bead design to share as well. 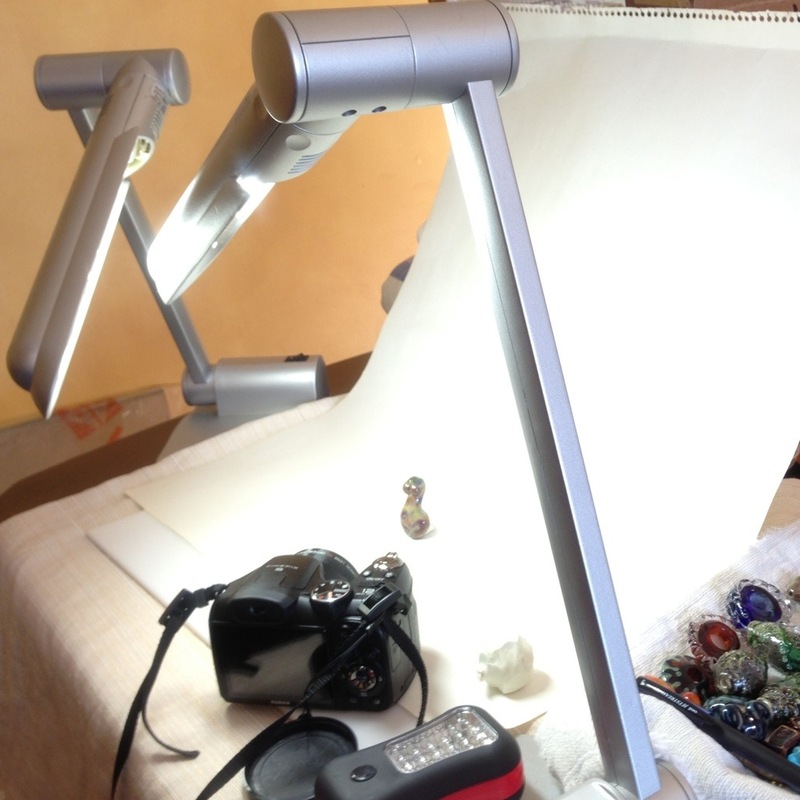 The tutorial will be published in the February 2012 issue of the Soda Lime Times, an e-zine for lampworkers. If you’re a subscriber, you’ll receive your issue just after midnight tonite! Try the tutorial let me know what you think!